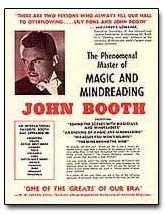 Below is the autobiography of John Nicholls Booth, written during his retired years. Much against my wishes or control, when I decided to enter the Meadville Theological School in Chicago in 1940, an account of it filled all of Newsweek magazine’s religion column; it was front page in the Chicago Daily News, and reported in newspapers from coast to coast. Why? 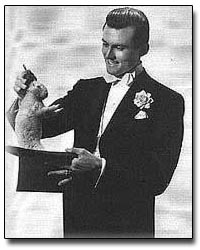 At the age of 27, I was surrendering the occupation of a prominent, skilled professional magician for the probable relative oblivion and uncertain remuneration of the ministry. This was considered news! I am the eldest son of two English-born parents, Sydney Scott Booth and Margaret Nicholls Booth. My father was then studying in this same seminary for the Unitarian ministry when I came into this world on August 7, 1912. During his first pastorates in Bar Harbor and Waterville, Maine, to supplement his small salary, he created and wrote complete scenarios for the fledgling motion picture industry, particularly the most respected Thomas A. Edison Studios. His feature films included “The Minister’s Temptation” (which broke the taboo against hospital operating room scenes); a thriller, “On the Great Steel Beam” (an accident in a building under construction); “Five Strings to the Beaux,” and others from 1912 to 1915. He left the ministry for business about 1918, after a final year’s interim service in the South Natick Eliot Church, outside Boston, where Horatio Alger, Sr. had been pastor. We lived in the same parsonage where he and his famous son—Unitarian minister Horatio Alger, Jr.—had resided. These film and book and church associations curiously foreshadowed my own life to come. The eighth edifice of the Original Old North Church in Boston. In 1928, our family, increased by the arrival of two brothers, moved permanently from the United States to Hamilton, Ontario. My mother and I, during my high school and McMaster University years, would trudge six miles round trip through snow, rain and starry nights to evening services in the Unitarian Church, a large, empty Victorian-style home. Always active in the youth club, I eventually was named continental vice president of the Young Peoples’ Religious Union along with Dana McLean Greeley, its president, who later became the first president of the merged Unitarian Universalist movement in the United States. After graduating from McMaster in 1934, during this nation’s worst depression, I decided to make my hobby the art of conjuring with which performances I had paid for much of my education, my temporary profession. After 17 months with a one-hour high school assembly program, I developed a 10-minute largely sleight of hand act for nightclubs and hotel room shows. Fortunately, I climbed rapidly and played many of the finest hotels and nightclubs in this country and Canada. Based on the fruits of this experience, I wrote two books for the profession: Forging Ahead in Magic and Marvels of Mystery. Unlike anything else in print, both became classics and helped ambitious newcomers to become more successful professionals. Through all those years my vision of becoming a minister haunted me. Only an uneasiness that my temperament might not be suitable for an effective ministry held me back. Finally, in 1940, my misgivings evaporated. I closed a two week engagement as a magician in the Schroeder Hotel in Milwaukee (now the Hilton) and went directly to the Meadville Theological School now located in Chicago, the seminary of my father 30 years earlier. In just over two years I completed my studies and my thesis, The Quest for Preaching Power, was published by the Macmillan Company. Much to my astonishment and that of my homiletics professor, it became a first alternate choice of the Religious Book Club. I was to remain happily settled in Unitarian Universalist churches for the next 33 years. During my conjuring career, I had met my wife of 41 years, Edith Kriger, on the steamship Nieuw Amsterdam. She was a passenger on the 46-day circumnavigation of the South American continent. I was on board for the entire cruise, booked professionally to appear in just five different 10-minute performances, living like a leisurely millionaire! My first pastorate was in Evanston, a Chicago suburb and home of Northwestern University. Pamphlets explaining Unitarianism—its history, theology, and contributions to society—were, I felt, inadequate for inquiring outsiders. So I sat at my typewriter and wrote one titled Introducing Unitarianism. I insisted that it be illustrated, and turned all the “We don’t believes,” characteristic of our descriptive literature in those days, into positives, “we believe.” Denominational headquarters accepted it, and I was told the 39-page work became the most requested pamphlet up to then in Unitarian history. After the Unitarian and Universalist denominations’ merger in 1964, I rewrote it as Introducing Unitarian Universalism. In all, these explanatory documents remained in print for 50 years, exerting their influence throughout an unprecedented period of church reorganization and growth. For many months, in the mid-forties, I rode the “elevated” train into Chicago’s Loop to present over WBKB the first series of talks on television by a clergyman in the USA. Called “Looking at Life,” they dealt with philosophical, psychological and spiritual problems. During our first two years in Evanston, we were living above a store and wondering how we could supplement my annual minister’s salary of just $2200. No car, pension or living allowances were provided. Edith suggested that in view of my former status as a writer and performer of legerdemain, I should try to secure a limited number of dates on the national celebrity lecture platform. After a rocky start, I finally became one of the three major speakers on this subject, limiting myself to 35 dates a year, across the country. This solved our dilemma about being able to remain in the ministry, my main dedication. Unitarians were often considered outside the pale by many traditional laypersons and clergy, so it was a cause for some eye-lifting when I was the first Unitarian made president of the interfaith Evanston Ministerial Association. Two ministers, a Lutheran and a high Anglican, resigned over this. After a six-year pastorate I resigned my church position out of sheer fatigue, not yet having learned to delegate the many tasks a quickly growing church entails. We were now ready either to enlarge our sanctuary or construct a new edifice that the congregation required. That was left to my successor, the gifted Dr. Homer Jack. He accomplished this goal. Today, it is one of the largest Unitarian Universalist churches in mid-North America. For my sabbatical year, in 1948-49, I was designated Asiatic Correspondent for the Chicago Sun-Times and represented the Christian Register on a trip around the world. I interviewed and photographed the prime ministers of Japan, China, Thailand and India, the governors of Hong Kong and Singapore, and the president and three former presidents of the Philippines. During two hours with Marshal Li Chi-shen, exiled in Hong Kong (Chiang Kai-shek’s nemesis), I squeezed out of him information that he was conspiring with the vice-president of China, Li Tsung-jen, to overthrow the government of Generalisimo Chiang and install a union administration with the Communists. This revealed threat was a world scoop. If the split were known, the already rocky Kuomintang administration would fall because the U. S. would stop its China Aid program propping it up. That is exactly what happened, i.e., China’s government collapsed. The Communists won the war and took over. 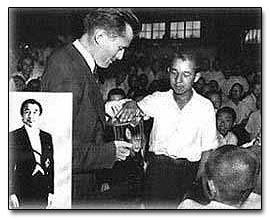 Chiang fled to Taiwan with his administration. My second scoop: learning from Prime Minister Nehru, in New Delhi, that he wanted to start a third-world bloc of nations. Until then, newly freed India had been expected to choose to affiliate either with the Free World nations led by the U.S., or the Communist bloc which looked to Moscow. India was large enough and strong enough, he told me, to head a third group of neutral countries. This was the first time such a political concept had been voiced. It came to pass. His Imperial Highness, Emperor Akihito of Japan, as a 14-year-old Crown Prince, assisting Dr. Booth in a performance at the Gakushu-Inn School for sons of the nobility at Koganei, near Tokyo, July 1948. Inset: H.I.H. Emperor Akihito having ascended the throne Jan. 7, 1989. Two other events in Asia were memorable.In Japan. I had an opportunity to entertain with some magic at the Peers School just outside Tokyo. Sons of the nobility were its sole students. Today’s Emperor Akihito attended then as the Crown Prince, a 14 or 15-year-old lad. A U.S. Army Signal Corps photographer, sent out by MacArthur, took an unposed photo of Akihito, standing beside me, holding a hand on my birdcage containing a canary. Seconds later bird and cage vanished instantly from my hands. That picture was flashed all over the world. World War II had certainly broken many royal traditions, allowing the Imperial Family, now, to be seen in such informal situations. The second unforgettable experience was finally receiving permission, after years trying, to trek into then-forbidden Tibet. With five Sherpa porters, I crossed the border from Sikkim into Tibet, allegedly the ninth American in history allowed to do so. We followed the caravan trade route to Phari Dzong and the holy mountain of Tibet, Chomo Lhari. My kodachrome slides of the difficult journey not only constituted the first travelogue in color on TV (NBC) but became the initial basis of a future part-time career as a cinematographer while still a busy clergyman. 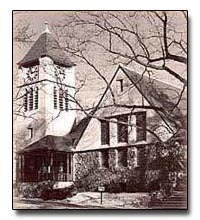 When the sabbatical in Asia was completed, I embarked upon my second parish ministry in Belmont, Massachusetts. At the same time I wrote my next book, Fabulous Destinations, describing the events of that wonderfully tumultuous year mainly in the Far East. Published by the Macmillan Company, it became a Travel Book of the Month Club #1 selection. With the blessings of the Boards of successive churches recognizing the cultural values stressed, I was able to shoot, lecture nationally, and have exhibited on television, my eight documentary type feature films, one produced roughly every three years during vacation and/or sabbatical time. I returned to my parishes refreshed and strengthened. These projects (1954-1975) took me to Africa, India, the south seas, South America, Britain and Spain, as well as the USA, where I filmed “The Amazing America of Will Rogers.” This biographical study enjoyed the actual participation of the late cowboy humorist’s sons, Will, Jr. and Jim. When I returned to Claremore, Oklahoma to premiere the film, the mayor declared it officially Will Rogers Day. John Nicholls Booth’s second pulpit (1949-1957), Belmont, MA, Boston suburb (photograph by Keller of Belmont). One picture, “East from the Khyber Pass,” was projected on television worldwide. Another, “Morocco,” caused the pleased King to decorate me with the Order of Ouissam Alaouite Cherifien. American TV was a big market. But all films were primarily made for my 35-lectures-a-year personal appearance tours. I stood in darkness by the screen, narrating the film on stage, as it unrolled. My audiences were in places like Chicago’s Orchestra Hall for the Geographic Society, Detroit Institute of Art, Hancock Hall in Boston, Wilshire-Ebell Theatre in Los Angeles, Cincinnati’s Taft Theatre, Eaton Auditorium in Toronto, Sydney Laurence Auditorium in Anchorage, Peabody Auditorium in Daytona Beach, and Carnegie Music Hall in Pittsburgh. In 1967, my portrait was hung in the prestigious Cinematographers’ Wall of Fame, then located in Town Hall just off Times Square in New York City. Entirely apart from that, I lectured at New York’s Town Hall ten times across the years. Indonesian government representatives sought a copy of my “Indonesia” for global promotion. Terminating my Belmont pastorate after eight quiet, pleasant years, I spent 17 months in Asia—including sabbatical time—making two films: “Golden Kingdoms of the Orient” (India, Kashmir and Nepal) and “Indonesia: Pacific Shangri La” (Java, Bali, Sumatra and Borneo). As I had been in 1948, I was again guest of the Maharajah of Cooch Behar for a week in his palace. I was called only a few miles from my former parish in Belmont to the Second Church in Boston, at 874 Beacon Street, one of the most magnificent church edifices in America. The eighth building since its founding in 1649, its stone and brick tower was higher than the Statue of Liberty, and it contained the first elevator installed in a Boston church. 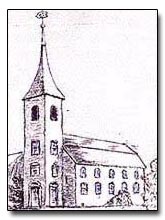 The historic large Old North Church (Second Church) and its steeple in 1775. Having heard rumors that our 1770s structure was really the true Old North Church site of the Paul Revere signal lanterns, when located in the north end of Boston, I spent over a year researching 18th century records—letters, journals, diaries, books, church and state documents, surveys of sight lines, military shifts, and ship anchorages. Conclusion: a grave historical error had occurred. 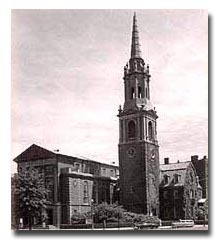 In the appendix of my 1959 book The Story of the Second Church in Boston (The Original Old North), I concluded that the records of the revolutionary period prove the Second Church’s claim, as well as reveal the human failings that caused the misidentification of another building as the lantern site. The Second Church building had been destroyed by British troops really because rebels had used it as a signal tower. Some historians, such as Conrad Wright, disagree with my conclusion. I concluded that the main problems of Second Church arose because its Trinitarian services clashed with its Unitarian theological and social message. Slowly I phased out the communion service. My predecessor at this historic church, Ralph Waldo Emerson, the brilliant essayist and Unitarian minister, had tried and failed to accomplish this, thus causing his reluctant resignation on principle as the church’s pastor in the early 1830s. Gradually I instituted change after change, accompanied by interpretations of “why,” leading to an appropriate, simple and more meaningful service in Unitarian terms. Challenged, I immediately called a legal meeting, in fairness to critics, to resolve the congregation’s desires. Both sides expressed deep emotional feelings in a civil manner; nevertheless, the assembly approved the transformation by a five to one vote percentage. The historic decision was front page Boston Herald news. The final buzz saw struggle encountered in the Boston parish arose from my recommendation that we increase our endowment fund and consequent investments’ income for our work and progress. This could be done usefully by selling five of the church’s 23 fine, but now not needed silver communion pieces stored in the basement of the Boston Museum of Fine Arts. The congregation voted affirmatively for the plan. Henry DuPont bought the five early American pieces for exhibition in the Winterthur Museum. A wealthy member of our church fought this action up to the Superior Court of Massachusetts, but ultimately lost. I helped to found the Massachusetts Memorial Society and gave it an office in our church building. It stands for simple, dignified funeral services at minimum cost. The funeral industry tried to stop it, but we finally prevailed. Booth and his two Ministers Emeritii of The First Church in Belmont, MA. (l) Dr. Henry Wilder Foote (also former Professor of Homiletics, Harvard Divinity School), (r) Dr. Marion Franklin Ham, Dean of Unitarian Hymn Writers (c. 1956). At this time, merger with the Universalists was being sternly debated. I was requested to write for the Unitarian official monthly magazine the case for merger. The opposition’s spokesman was the Rev. 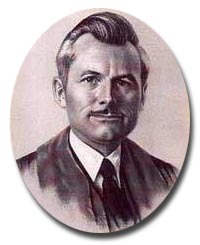 Dr. Walter Donald Kring of All Souls Church, New York City. My fourth and last full-time settled ministry—seven years—was in Long Beach, California, just off the campus of a state university. A zebra cannot change its stripes. Within a short time I was defending the city librarian before the city council against a group determined to eliminate classic or liberal books it did not like from the library system. I led and addressed the largest civil rights march in Long Beach history. A sermon advocating the right of women, not the state, to determine if they could or should terminate an unwanted pregnancy, was quoted in extensive detail in the powerful Los Angeles Times. During some periods of my Long Beach ministry, I was drawing the largest congregations of my career, necessitating double services. The Mental Health Association of which I was president thrived. Retired now at the age of 88, I can look back upon four basic careers that produced 17 published books and hundreds of magazine and newspaper articles, and I tried as a magician, cinematographer, lecturer, and Unitarian clergyman to bring people together in a more just, enjoyable, and harmonious society.